Rather a rushed little post because sometimes excitement just takes over!!! 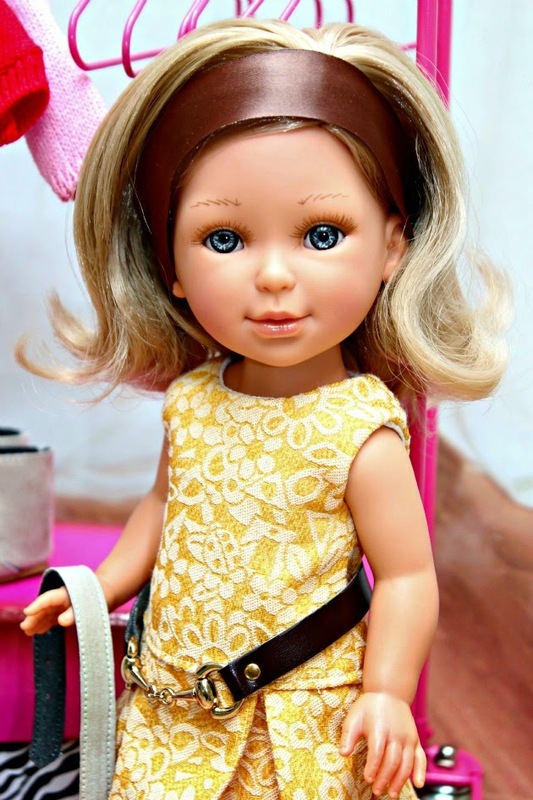 Yesterday a new brand arrived, new to My Doll Best Friend, new to the UK – not new to Europe, because it is made in Europe, in the South of Spain. I had anticipated this to be a good brand of course but sometimes something nice happens and the brand exceeds expectations. 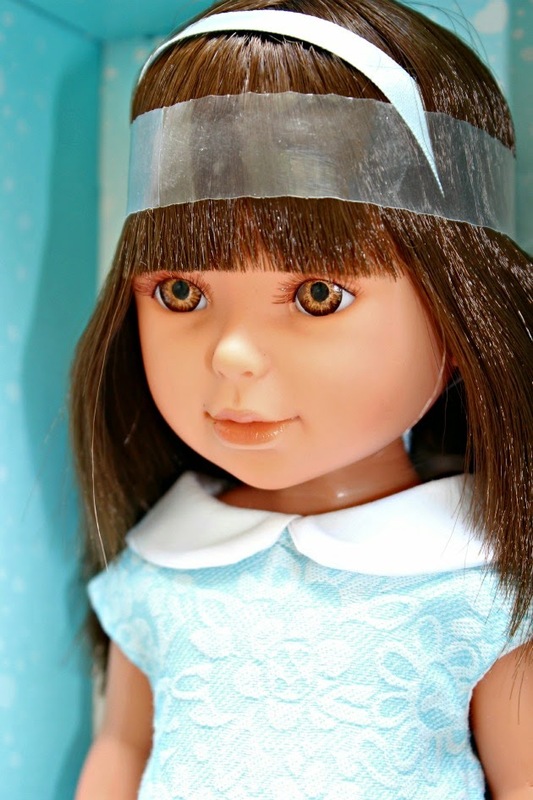 Sometimes something special happens and the bond with a doll and a brand starts at first glimpse of the doll’s face from behind the protective clear plastic. That happened! It was happening earlier than that though. My first impressions: I was pleased by the white cartons the boxes arrived in with the blue logo on the sides – they looked sweet, clean and unfussy. 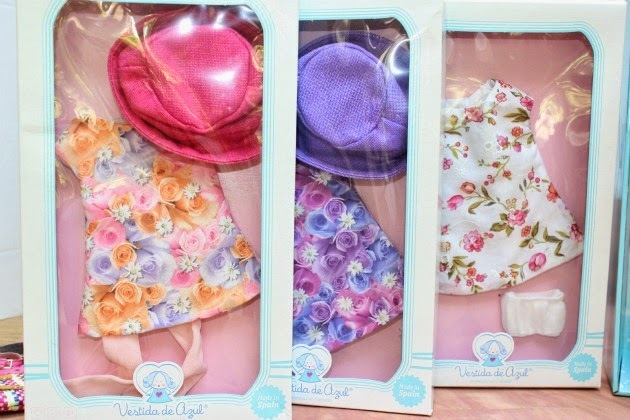 Inside the carton, rows of doll display boxes in blue and white made from thick laminated cardboard increased the expectation. I pulled out a a shoebox style box with a lid which once lifted revealed the clear perspex window with the full length of the doll visible. I reached in to the box to feel the hair – so soft! Rooted, with beautiful natural colour and texture and very closely resembling human hair. 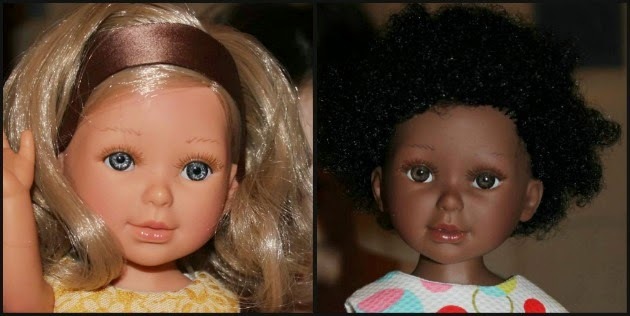 My daughter and I had exactly the same reaction to these dolls. 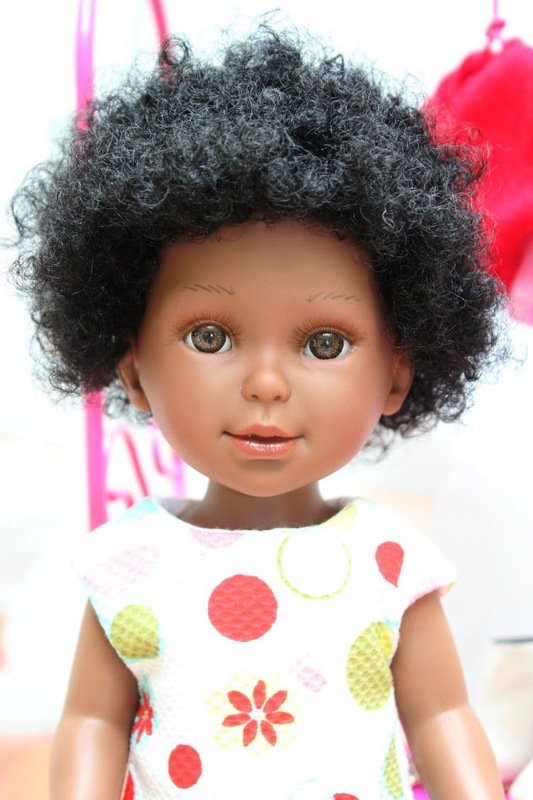 Next box, next doll…more squeals from us and lots of excited chatter. Same for the accessories. 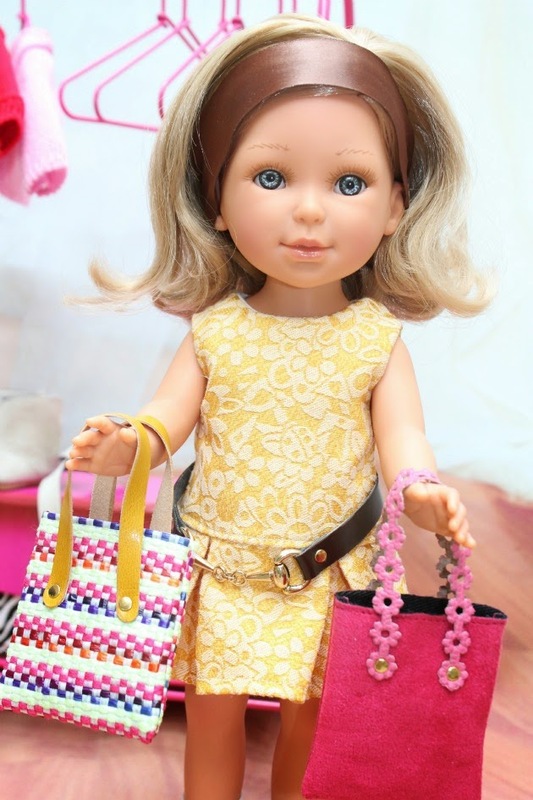 Shoppers associate Spain with stylish and beautiful shoes, bags and belts – you can associate this brand with amazing accessories for dolls! 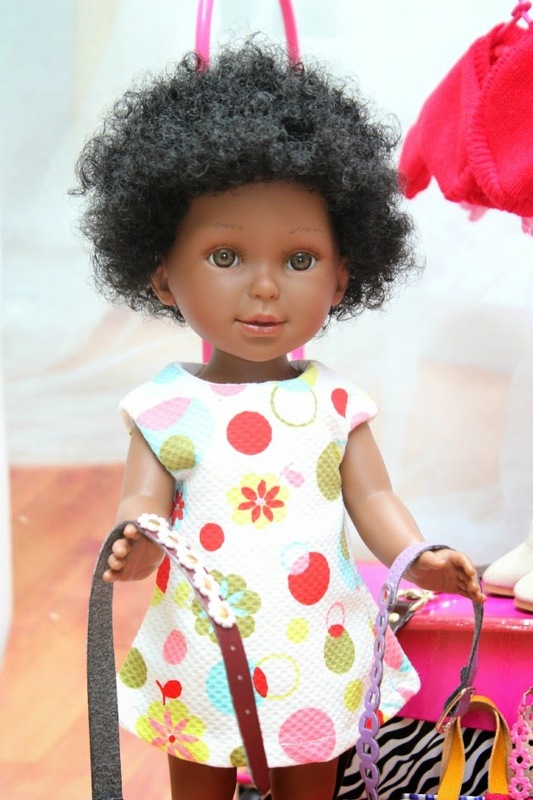 We have ordered four dolls, lots of clothes in boxes, shoes, bags and belts and if you like them we’ll buy more! Here’s a glimpse of what has arrived. Look at the clothes and accessories too! Welcome to Vestida de Azul at My Doll Best Friend! Was unsure until we got to the redhead, so cute, I do love the outfits too, might be tempted here. Er, they're not scented, are they? So very pretty. The one with the curly red hair and blue eyes reminds me of my childhood best friend. Hi Ali, thanks so much! I love them too! 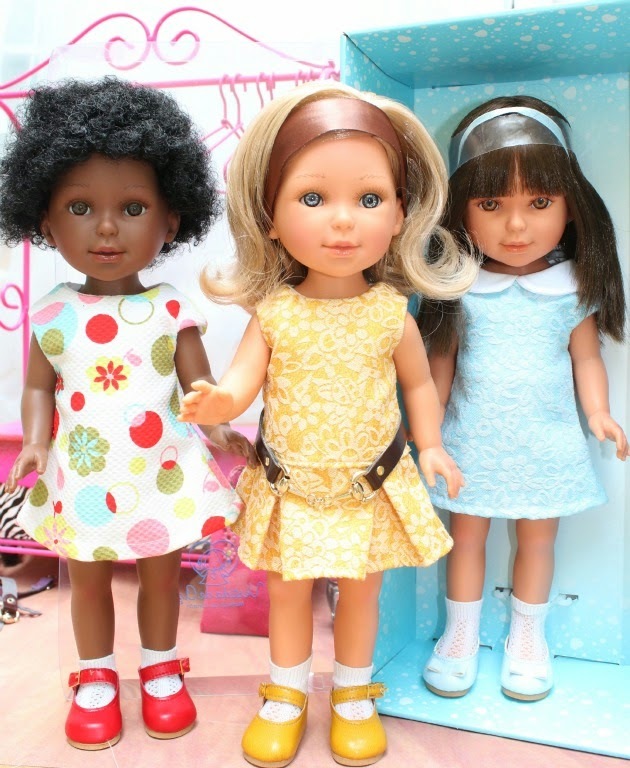 I broke all my rules to go smaller (and taller) than the standard 18" with the other smaller dolls I stock but when I see them together in a group I know that it works and I like that it's representative, if you know what I mean! I'm so pleased you like them Pamela. They are as sweet as anything. The range of accessories is delightful and I'll be adding more next time I order. Thank you for this post, could you tell who made them? where can we buy them? Oh, Maxine, they are sooooooo cute! 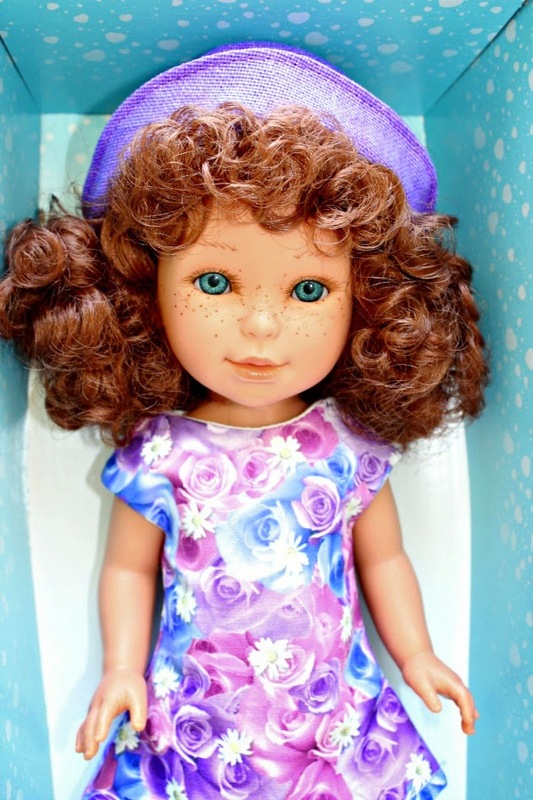 The curly-haired red-head with the amazing freckles and beautiful blue eyes just stole my heart. Oh my gosh! 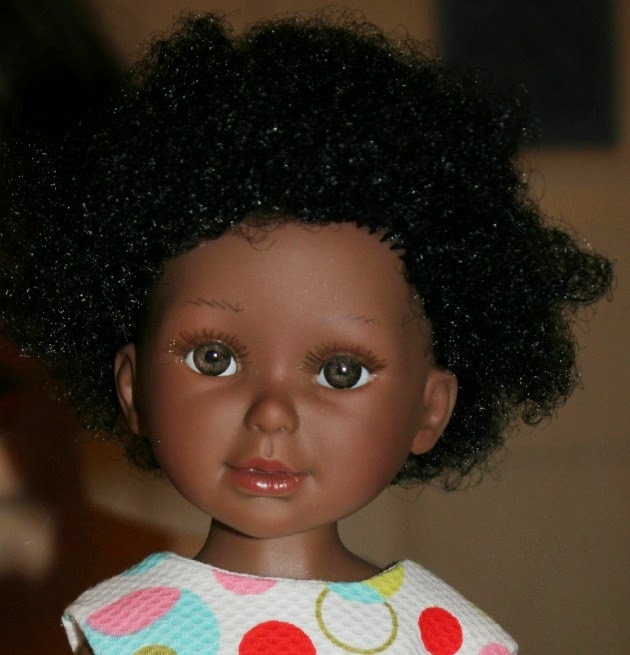 They are a little small for the dolls I am usually attracted to, but I just might have to make an exception…. Thank you for introducing us to these special girls! 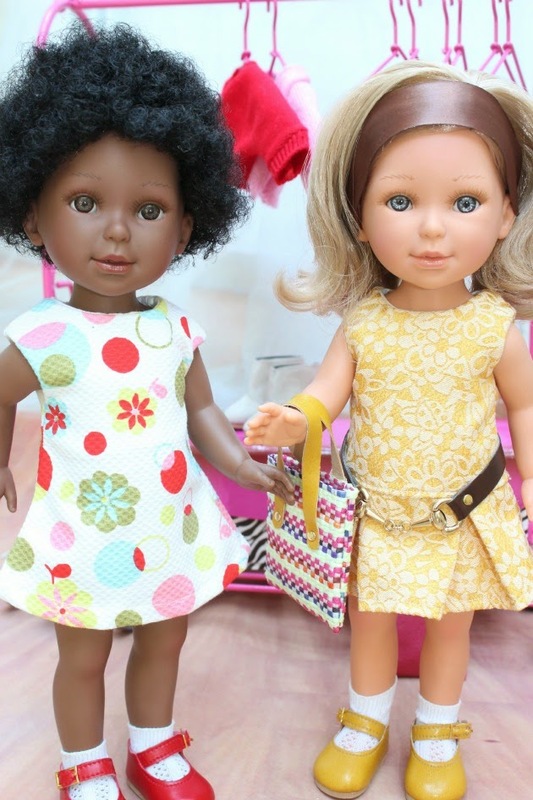 A beautiful range of smaller dolls! 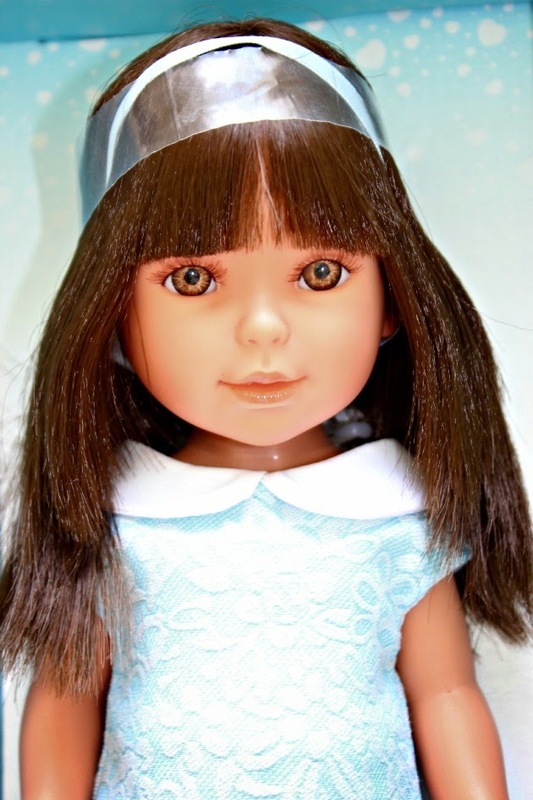 Really ideal as little sisters for the bigger 18" dolls. 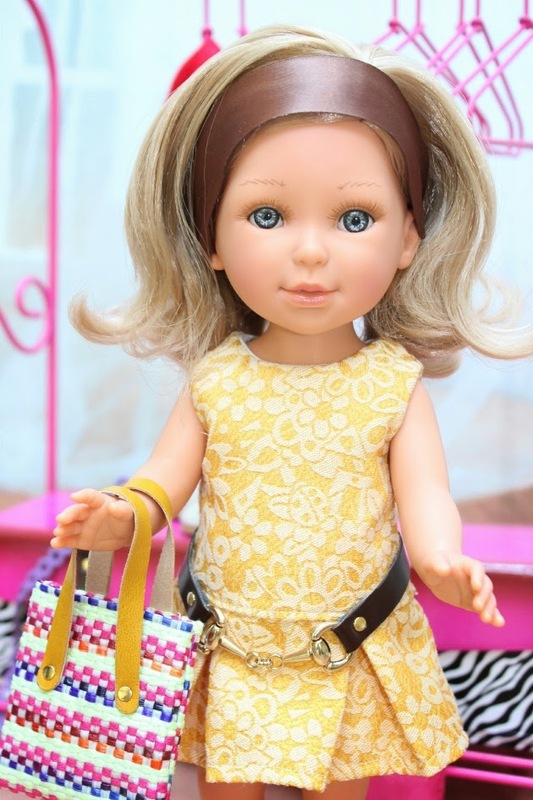 So cute and the bags, shoes, belts and hats are every girls dream – let alone doll's dream. Great to see new ranges available in the UK. Thanks!